Microsoft Released 3rd Cumulative Update 3 KB2994331 yesterday for System Center Configuration Manager 2012 R2 with lot of fixes,powershell changes and some of them have been modified/new stuff added. 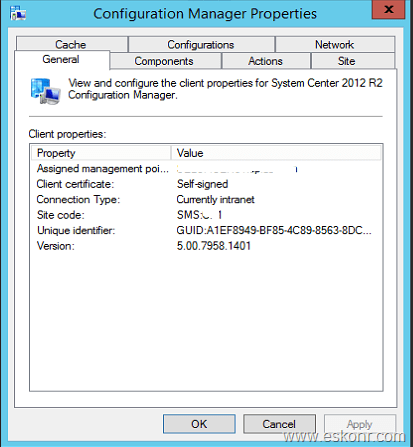 This update replaces Cumulative Update 2 for System Center 2012 R2 Configuration Manager.If you have not applied CU1 or CU2 yet on your Configuration manager 2012 R2,you can directly go with CU3. Note : It is recommend to close the Configuration Manager Administrator Console before you install this update. So what are issues that are fixed and functionality that is updated in Cumulative Update 3 (CU3) ? The CULevel value is set to 3 for Cumulative Update 3. In Next post,i will show you how to install this update and upgrade clients with CU3. 7 Responses to "SCCM Configmgr 2012 R2 Cumulative Update 3 KB2994331 Available for Download"
Appreciate the quick response, Thanks. Yes,I meant SCCM 2012 (Typo !!). I am aware that I cant upgrade to R2 directly from RTM and upgrade path is RTM:>SP1:>R2. What I meant to ask is that after upgrading to R2, do i have to install CU3 as well? MS says that these CUs shouldnt be installed unless we have specific issues resolved by them. So I am not sure if I go ahead and install CU3 after R2, Thanks and Happy Dushera ! it is always recommended to install the latest CU to avoid further issue and CU3 has many bug fixes that will help you to escape from those . I am planning to upgrade my prod environment from SCCM 2013 RTM to R2.However I am not sure whether I should also install CU3 as these are only meant to be used as hotfixes and shouldnt be installed unless I have the problem, right? its SCCM 2012 (spell mistake I guess) . 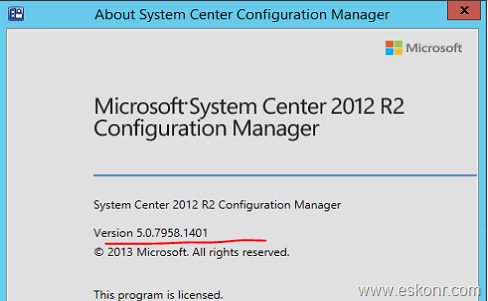 You cannot install CU3 on sccm 2012 RTM, you must first upgrade to R2 from sccm 2012 RTM and then install CU3 . Just wondering if you could help me on how to run a software metering report for total usage trend analysis for a specific metered software program in the specific collection? Did you check the default reports for software metering ?